Somebody awkwardly spilled coffee on the carpet, again! If at least once in your life happened to spill some coffee, then you know how the stain of this favorite beverage is one of those which is difficult to remove. And if it happens to you in the morning, before going to work, it can be a real horror. However, it should not be a reason to lose your nerves or give you boost of adrenaline, because we have good and proven tips for solving this problem. With a thick layer of paper towels gently press the place where coffee is spilled, with the aim to absorb as much of the moisture as possible. Do it carefully, without hard pressure or rubbing, because the stain may spread. You also can use a clean absorbent towel. This is a universal tip and rule number 1, which should be applied ASAP and before the other, following steps: react immediately with cold water! Water is natural cleaner and disinfectant. Immediately in these cases means as soon as the coffee is spilled or as soon as you notice it. 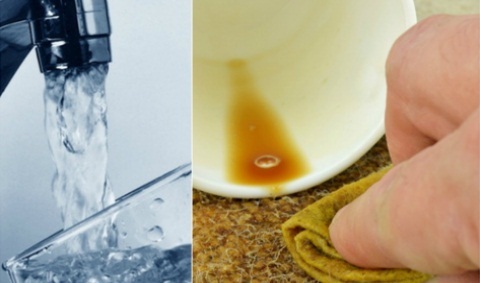 Pour a large amount of cold water over the coffee stain.Soak well the stain with cold water and let it stand: if you have time about 30 minutes, and if you leave the house – let it until you return. After 30 minutes (if you did not have to go out), with paper towels, a lot of them, absorb well the water. If you come back home later, also absorb well the soaked place with plenty of paper towels as well as cloths. It may happen that you completely remove the stain with water. If not, proceed the following steps. You can always buy some cleaning agent. The market is full of variety. But, because of the various harmful ingredients they contain, it is best to try it with natural cleaning means, and the above-mentioned resort as the last solution. White vinegar: Mix one teaspoon of liquid soap, a spoon of white vinegar and two glasses of warm water. Soak a clean towel in this solution and rub it gently into the carpet, on the stain. Let it act up to 2 hours. Club soda: Chose club soda without additional flavoring or color. Pour it directly on the stain and lightly rinse with rubbing. The procedure should be repeated until the stain completely disappears. Baking soda: Baking soda is a great absorbent. Dip the damp cloth in a dry baking soda, to form a stiff paste, and then gently rub the stained area. Lemon juice: Add 2 cups of lukewarm water and ¼ cup of freshly squeezed lemon juice to a bowl. Stir well to mix it fully. Egg yolk: Yolk, as a cleaning mean, might surprise you, but many claims it is effective. So, try: mix well 1 yolk, apply it on a thin towel and rub the stain for 1 minute. Beer: Pour a little amount of beer on the stain and gently rub in. The stain should disappear quickly. Wet wipes: Wet wipes absorb liquid and stains from the carpet. Can be very effective. Purchasable liquid or powder detergent: About them, we will not write in particular. 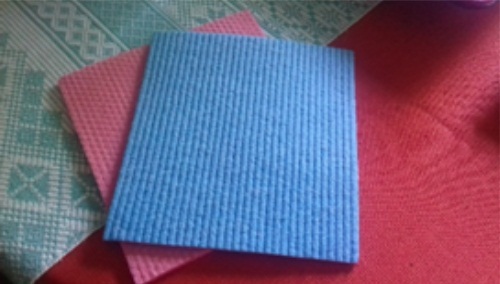 You can try with detergent for dishes or cloth washing (either manual or machine wash), or any other specialized carpet cleanser. When using these cleaning means, pay special attention to the instruction, so as not to damage the carpet or hurt yourself (skin, eyes, throat, lungs, etc.). Before applying any chosen cleaning mean, first test it: put a small amount on a small area of the carpet, wait about 20 minutes and check the spot for color changes. I would be sufficient to be sure that the cleaning means won’t fade the color of your carpet or damage it in some other way. Use a clean towel dipped in the cleaning solution. Press the towel onto the stained area. Change frequently the area on which you use the towel, or get a clean towel, to ensure that you are not dirtying the carpet around the stain. Be sure to cover the entire stain, with all the edges and any residual drops. Rinse off the treated area with water with the aim to remove the cleaning solution as well as coffee from your carpet. Pour water directly into the area, or dip a clean towel in water and apply it to your carpet. You could also spray the area using a spray bottle filled with water. Remove excess of the liquid. Absorb the entire area to remove as much water as possible. Use a clean towel to press it down on your carpet and soak up the moisture. Frequently change the towel to reach the maximum of absorbency. Put a clean towel over the wet area. Cover the towel with a plastic bag and place some heavy object on the top. You can use a heavy book, paperweight, utensil, plate, or other items. Leave it on for several hours. Then remove the weight, bag, and towel, and allow the area to fully air dry. If you have on an old stain, first well moisten the area with water. Making the stain wet makes it fresh again. This will allow you to act on the stain as if it had just appeared. For stains that are difficult to handle, cover them with salt. Salt absorbs coffee and lessens the stains considerably. You can mix fresh lemon juice with some commercial cleaner. As you can see, coffee stains on your carpet do not have to be a nightmare. 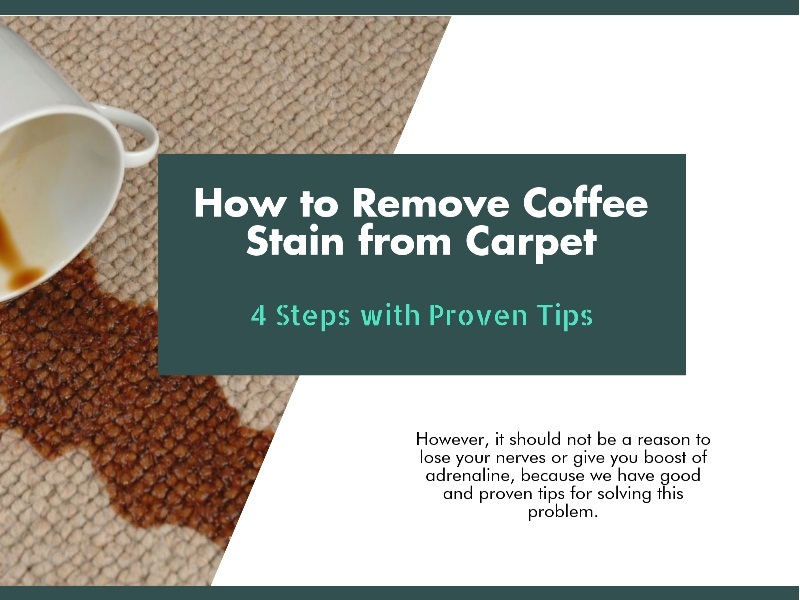 Although considered one of the most stubborn stains, with some or all of the above listed and described means and procedures you will surely remove any coffee stain. 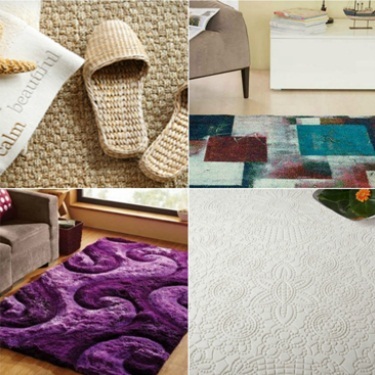 For a short time and with a little effort your carpet will be clean again. If you like this article and find it as useful, you might want to read our other articles on carpet cleaning. We would like to know what do you think: share your experience and give your suggestions, what would you like to find out about home cleaning.